Many pioneering technical innovations that are standard automotive features today were first seen in a Mercedes-Benz, including the crumple zone (1959), ABS (1978), airbags (1980), belt pretensioners (1980), ESP (1995), PRE-SAFEÂ® (2002) and many other milestones in vehicle technology. Today the speed of innovation in the automotive industry is proceeding at a tremendous pace. The inventiveness, delight in experimentation, wealth of ideas and enthusiasm of Daimler’s developers and engineers are unbroken. 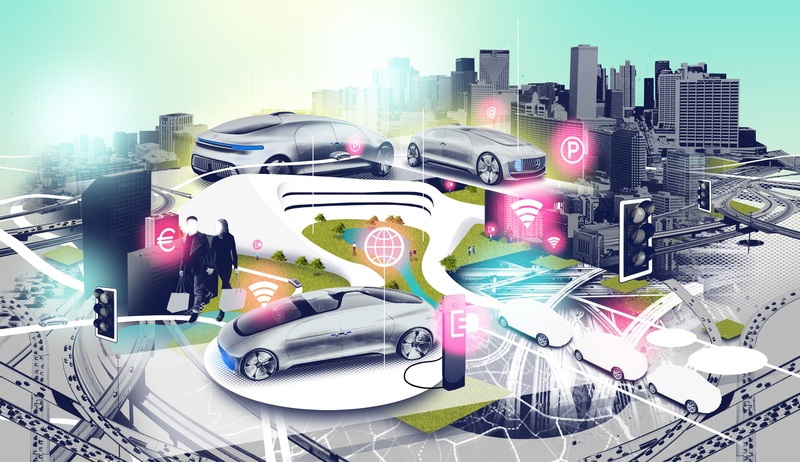 Buzzwords like connectivity, autonomous driving, electric mobility and shared concepts are floating the markets. But for Daimler they are way more than buzzwords, they are an obligation and a promise for a future of sustainable mobility.